No, The narrator's monotonous drone and lack of emotional involvement in what is totally an emotion based topic basically made the audible version boring and unmemorable. I DO think it would probably be a good read where the narrator is you. Would you ever listen to anything by Jim Afremow again? yes, IF narrated better. The book was highly recommended and I thought I'd be able to listen in the truck or during down time. What didn’t you like about Eric Michael Summerer’s performance? He lacked emotional involvement- or really any interest in the material. just a distant voice reading the material. 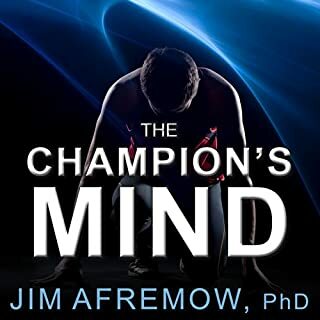 Was The Champion's Mind worth the listening time? no and I found I tuned it out most of the time. I would consider buying the book.